Orange County Plumbing Heating & Air Conditioning is a locally-operated and reliable contractor that has been serving residential, commercial, and industrial customers in Mission Viejo, Orange County since 1958. For five decades our plumbing and HVAC company has been delivering plumbing, heating, and air conditioning services that exceeded our clients’ expectations. Whether you require a replacement of an old air conditioner, a quick repair of your water heater or a complicated drain cleaning, South Orange County Plumbing Heating & Air Conditioning has you covered. Our customers have entrusted us their plumbing, heating and AC needs and we can help you with any problems that might arise with your plumbing or HVAC systems. 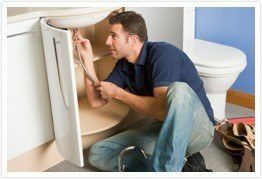 If you need any kind of plumbing, heating or AC service in Mission Viejo, contact the expert technicians at Orange County Plumbing Heating & Air Conditioning to schedule an appointment. Receive $20 off any service in the city of Mission Viejo!